It seems like only yesterday that Hillary Clinton was on The Tonight Show (it was September 16, 2015), doing impressions of Donald Trump and chatting about taking selfies with the Kardashians. But, in great news for fans on Thursday, as Hillary Clinton will return to The Tonight Show on January 14, which as The Hollywood Reporter says, happens to be "just weeks ahead of the Iowa caucuses on Feb. 1 and the New Hampshire primary on Feb. 9." At such an important stage in the campaign, Clinton's appearance is well timed and, for the most part, her TV appearances have been well-received so far (she's even scored a guest appearance on Broad City Season 3 — she's that good). As the previous stint during which Hillary Clinton sat across from Jimmy Fallon was so hilarious, her latest appearance is sure to be just as great. It's well timed-too, as Donald Trump sits down with Fallon on Jan. 11, just days before Clinton will appear. There's sure to be some big discussion about competition between the candidates, but what else can we expect from Hillary Clinton when she appears on The Tonight Show on January 14? And what would viewers most like to see Clinton discuss? Clinton's appearance on The Tonight Show back in September 2015 included a joke about her hair being real, in reference to Donald Trump's hair, and a sketch in which Fallon dressed up as Trump and called Clinton on a solid gold phone. Clinton also spoke about the infamous selfie she took with Kim Kardashian, with Fallon asking her if she knew who Kim Kardashian and Kanye West were before she met them. Clinton obviously did know, and called them "delightful." Clinton even used her appearance to discuss some of the more important aspects of her campaign, including her focus on "Raising Americans' income. Getting more money into your paycheck so that you can have a better chance." All in all, Clinton achieved the perfect mix of comedy and politics when she last met with Jimmy Fallon, but can she do it again? 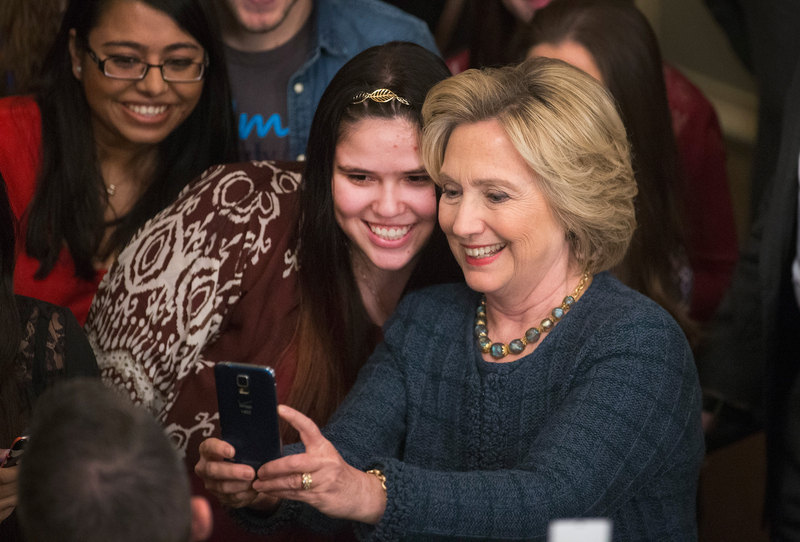 Hillary Clinton is popular with viewers and celebrities, with fans like Katy Perry and Amy Poehler sharing their support for her campaign on social media. The fact that many of Clinton's supporters are so high profile and outspoken about it is a real testament to Clinton, and part of the reason she comes across so well on talk shows. Clinton isn't afraid to make fun of herself, or take part in skits, and her willingness to throw herself into her appearances means that she's always worth watching. And there are sure to be many memorable moments when Hillary Clinton appears on The Tonight Show on January 14!